Meet Kermani Parker…. After 119 days in the NICU, he is finally home with his mom Nikita, dad, Francios Charles and big brother Kemonte. “Woo hoo. It’s been crazy, restless, tiredness…but I’m so happy he’s home. And my 5 year old is so helpful, always wanting to pick him up, sleep with him, bath him. It’s been a joy.” It’s a happy ending to what was a terrifying journey. When Nikita was only 22 weeks pregnant, she started to go into preterm labor and the doctors could not identify the cause. Nikita has trouble understanding what was happening because she had carried her older son full term. She was scared and feared all the challenges her baby would face coming into the world early. 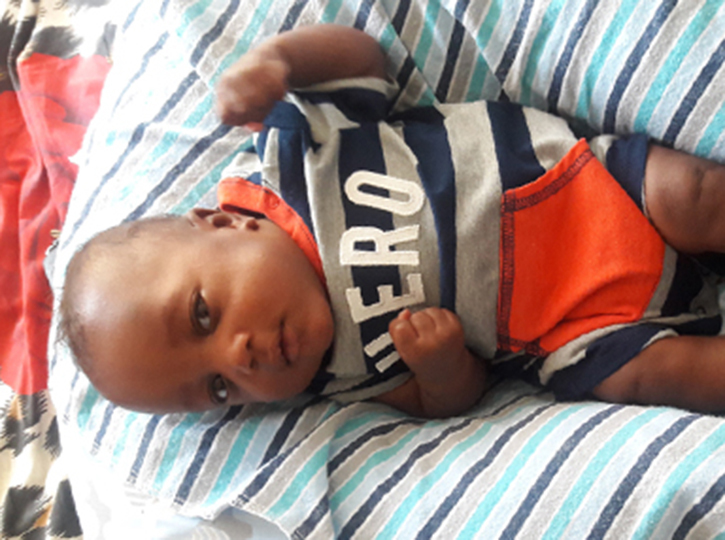 Doctors were able to delay the labor, but at 23 ½ weeks pregnant, she delivered a one pound 6 ounce baby boy at Holtz Children’s Hospital at the University of Miami/Jackson Memorial Medical Center. That strength helped Nikita get on a bus every day after dropping Kemonte at school to visit her baby. Some days she would visit a second time, bringing her older son after school and then having to rush home to do homework and get him to bed.